There’s no shortage of activities this coming weekend in Jackson County as five major events are scheduled throughout the area. Movie Night On The Square: The Holton/Jackson County Chamber of Commerce is hosting its annual “Movie Night On The Square” on Friday. Activities, including entertainment and a bounce house, begin at 6 p.m. Admission is free, and the featured movie, “Toy Story,” will be shown at dark. Jackson County Rodeo: The two-day event starts at 7:30 p.m. on both Friday and Saturday at the Northeast Kansas Heritage Complex just south of Holton. Gates will open at 6 p.m. each evening. Soldier Fair: The city of Soldier will be hosting its annual city fair on Saturday, including a meal, pie contest, parade and fireworks. Motors & Mayhem On Main Street in Mayetta: To continue to raise funds for a new water spray park in the Mayetta City Park. 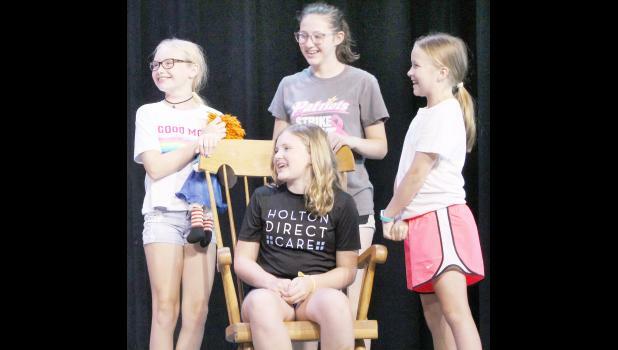 Saturday starting at 9 a.m.
“Annie”: The Holton Community Theatre will present the musical “Annie” at 7 p.m. Saturday and 3 p.m. Sunday at the Holton High School auditorium.